According to Deloria and Wilkins, "Whenever American minorities have raised voices of protest, they have been admonished to work within the legal system that seek its abolition." 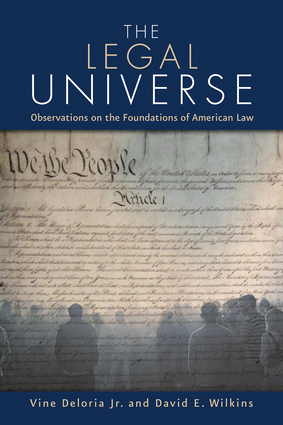 This essential work examines the historical evolution of the legal rights of various minority groups and the relationship between these rights and the philosophical intent of the American founders. Vine Deloria Jr. was named by TIME magazine as one of the greatest religious thinkers of the twentieth century. He was a leading Native American scholar whose research, writings, and teachings on history, law, religion, and political science have not only changed the face of Indian country, but stand to influence future generations of Native and non-Native Americans alike. He has authored many acclaimed books. Vine Deloria Jr. passed away on November 13, 2005. Professor David E. Wilkins holds the McKnight Presidential Professorship in American Indian Studies at the University of Minnesota. He has adjunct appointments in Political Science, Law, and American Studies. He received his Ph.D. in political science from the University of North Carolina/Chapel Hill in 1990. Wilkins' research and teaching interests include indigenous politics and governance, federal Indian policy and law, comparative politics, and diplomacy and constitutional development.